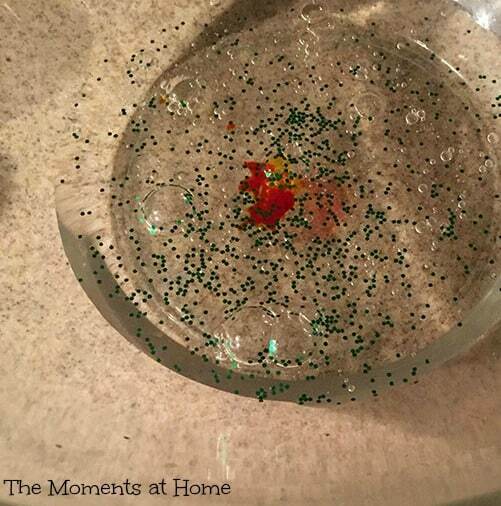 Slime is a great sensory activity for kids of all ages. 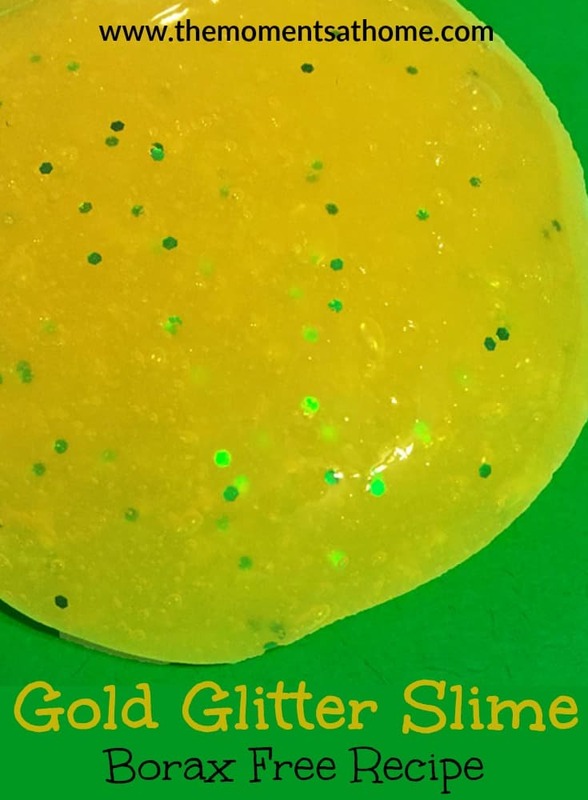 My tweens are really getting into making different slime recipes and we thought it would be fun to share our favorite St. Patrick’s Day glitter slime recipe with you! Gold glitter slime looks like something a leprechaun would find at the end of the rainbow, or maybe a sneaky leprechaun will leave some for the kids to find on St. Patrick’s Day morning. Slime ingredients can cause an adverse reaction for some people. Please follow the recipe as intended and test ingredients on skin before making slime. The Moments at Home is not responsible for any adverse reactions caused by slime or its ingredients. Squeeze the clear glue into a bowl. Add about 5 drops of yellow food coloring to the glue. Add a teaspoon of green glitter to the glue. Stir until the mixture turns an even tint of yellow. Pour in 1/2 cup liquid starch and immediately begin folding the ingredients into themselves like you would a dough. Continue folding the mixture for about 2 minutes. Drain any excess starch. Transfer the slime to a plate and continue folding. After about ten minutes the slime should be a good texture. The more the slime is handled the better the texture! 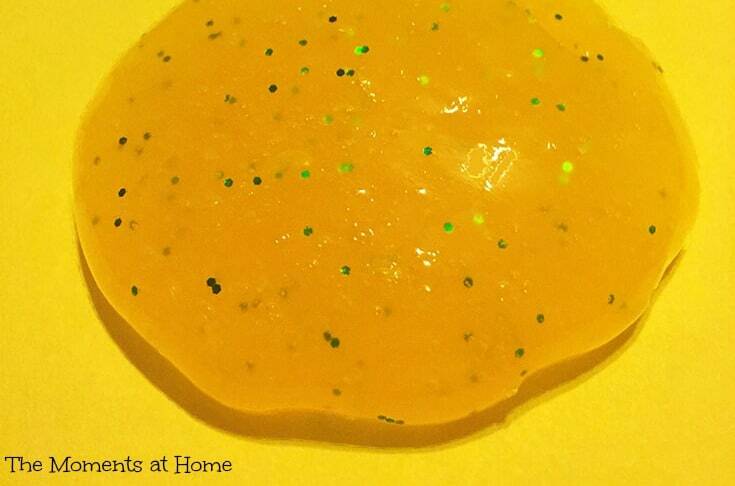 Making slime at home is a great sensory activity for kids of all ages. Preschoolers enjoy using their scissor skills to cut slime while older kids just like squishing it around in their hands. Be sure to keep the slime away from clothes and other fabric surfaces because it’s not easy to remove! My kids usually sit at the table and play with the slime cutting and squishing away.